Keypad prepayment energy meter is a keypad-base stand-alone or split prepayment energy meter is a compact DIN Housing meter. 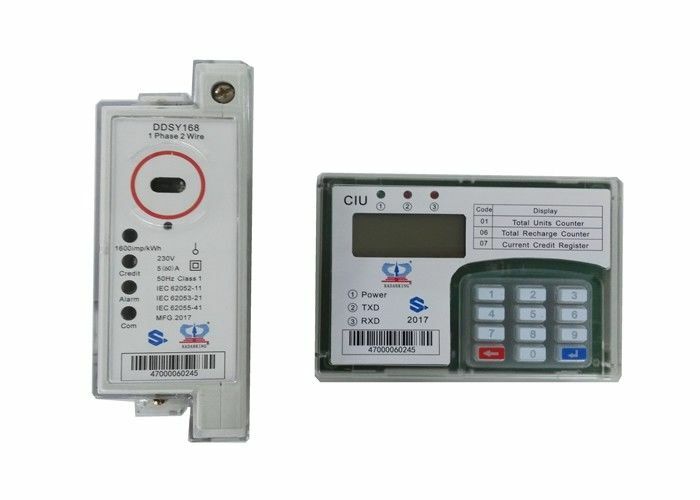 The meter is capable of connecting with a remote User Interface Unit through PLC or 2-wire cable. 2. Measured Energy Value: Import and Export kWh, kvarh and kVAh; Vrms, Irms, frequency and power factor. 3. Prepayment: Keypad to input encrypted numbers, STS compliant. 4. Reliable Design: Perfect power source and electromagnetism compatible design, which are suitable to the strong electromagnetism disturbance and big occasion of power source fluctuation. 5. Event Record: Event record with data & time, muti-event records. 5. Tamper Detection & Alarm: Terminal cover and top cover open derection, current unbalance, magnet tamper and current reverse detection; Low credit, relay error and low voltage alarm(optional). 6. Cover to Meter: Fully sealed dustproof and waterproof design, material of cover has excellent flame retardant and anti-corrosion, anti-aging properties. 7. Interface Protection: Perfect interface protection circuit, which keeps the meter from all kinds of vicious attack, no damaging for meter, no lose for data, and no delay for active. 9. Display: LCD display with backlight. Q1. Are you the factory? 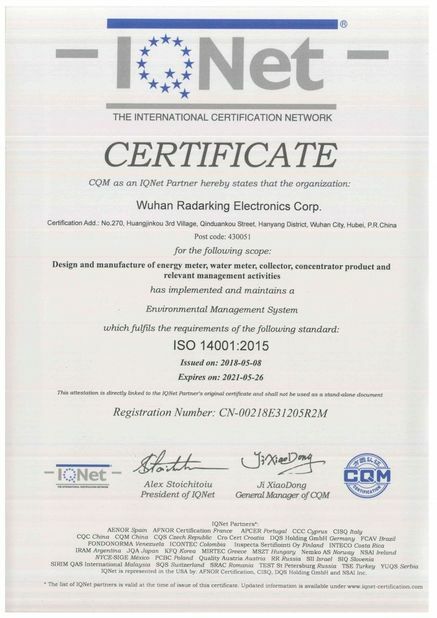 A.Yes.We are factory.Wuhan Radarking Electrinics Corp. is the professional manufacturer of the high tech products with strong R&D capabilities. We are one of the few manufacturers in Hubei province whose annual production of electronic meters and water meters can be up to 6000000 sets. 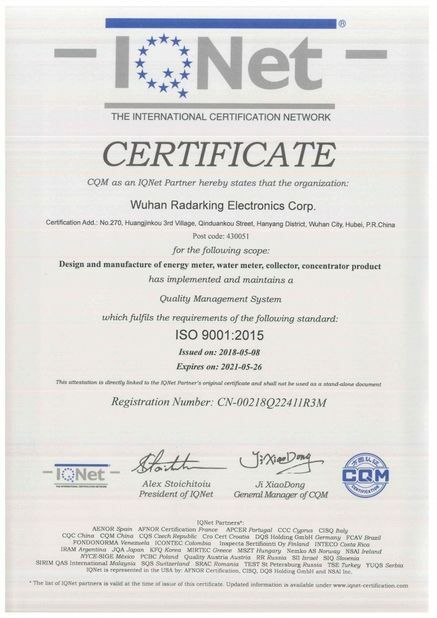 We have our own brand "RADARKING", also welcome the OEM/ODM. Q2. What is your quality control procedures? A. Radarking get the strictly control of quality,which begin with material purchase and carry through to the end of the production process by ISO9001.Before shipping,welcome the examination of goods. Q3. Are there any special requirements for OEM purchases? A.Yes.We requires proof of trademark registration in order to print or emboss your trademark onto the product or packaging. 3.OEM&ODM,any your customized lightings we can help you to design and put into product.